Owned by a Food Network star and celebrity chef, Luna Farm in Ottsville, Pennsylvania is a one-of-a-kind, sustainable, all-organic nearly 40-acre farm. 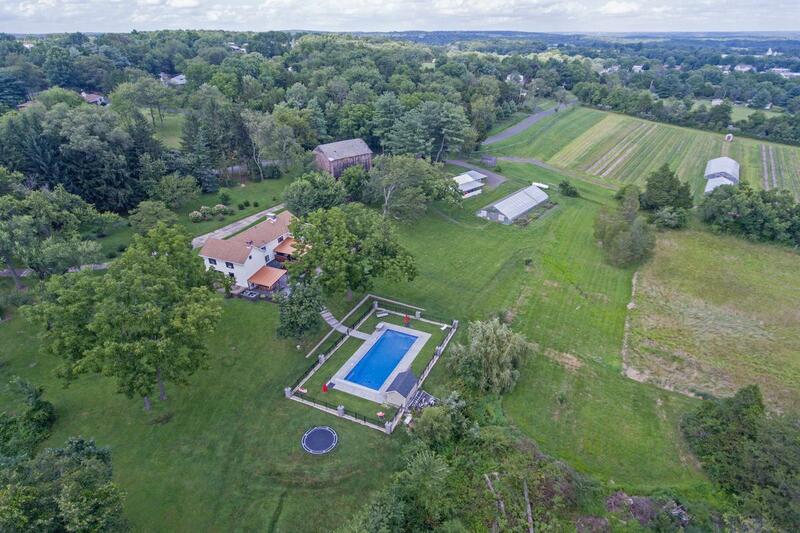 The epitome of bucolic Bucks County living, this property was featured in Visit Bucks County Magazine. 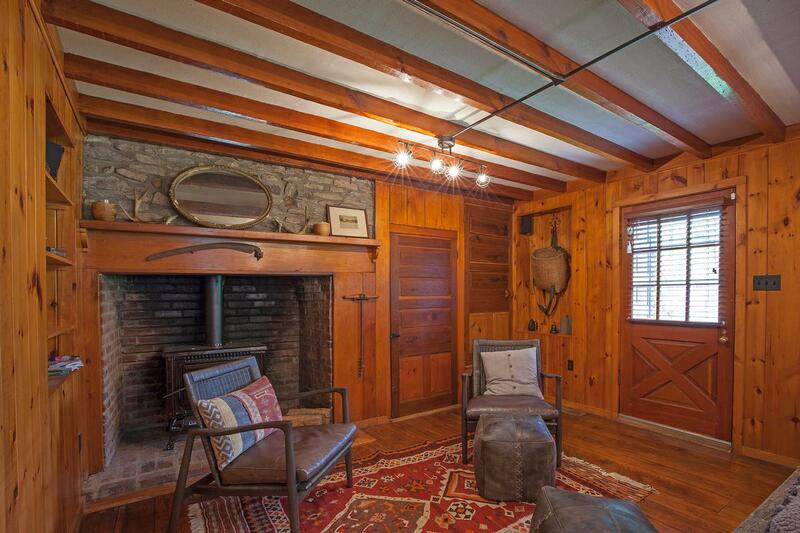 The three bedroom, one and a half bathroom home is artfully updated while still maintaining its original rustic charm. 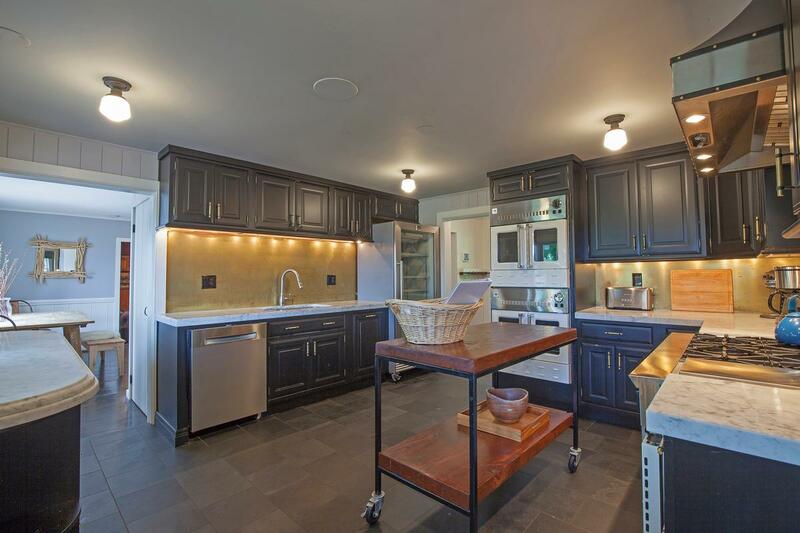 The home has a true chef’s kitchen with the latest appliances and plenty of room for preparation. 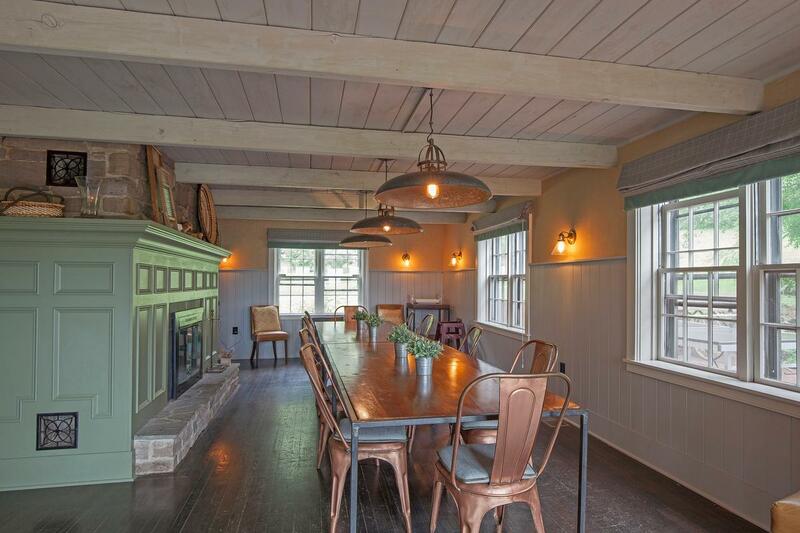 A traditional dining space with a fireplace and views over the property is a wonderful place for entertaining. 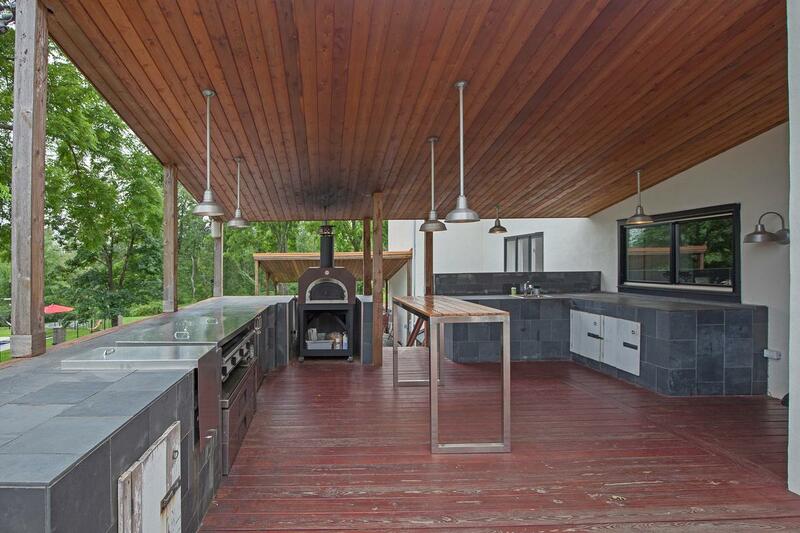 The outdoor space is outfitted with multi-level decks, a pizza oven, a fire pit, an in-ground saltwater swimming pool, a hot tub, an in-ground trampoline and a Sonos sound system. 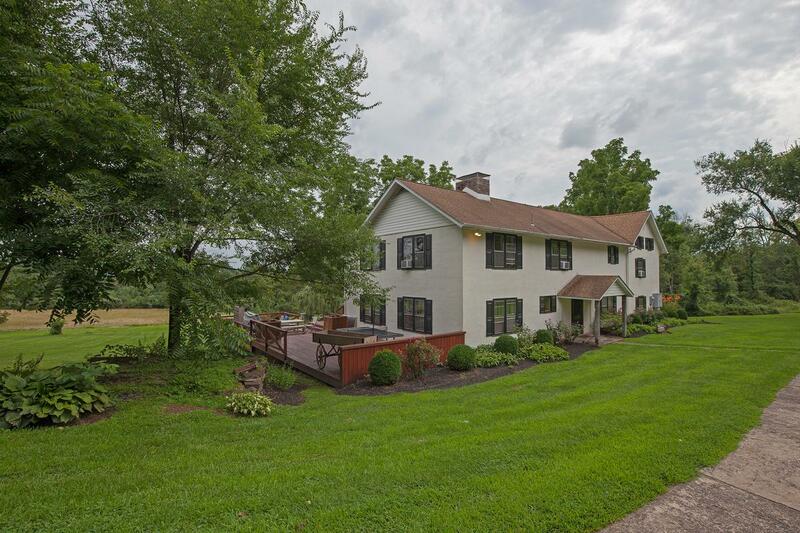 In a retreat-like setting with scenic panoramic views, Luna Farm is fit to entertain. The agriculture elements of the property have also been upgraded including the addition of 1,400 blueberry plants and a deer fence, and an updated well, greenhouse and vegetable packhouse along with meticulously-maintained soil and fields. There is also a barn that could be renovated into a pick-your-own farm storefront, additional living space or a guest house. 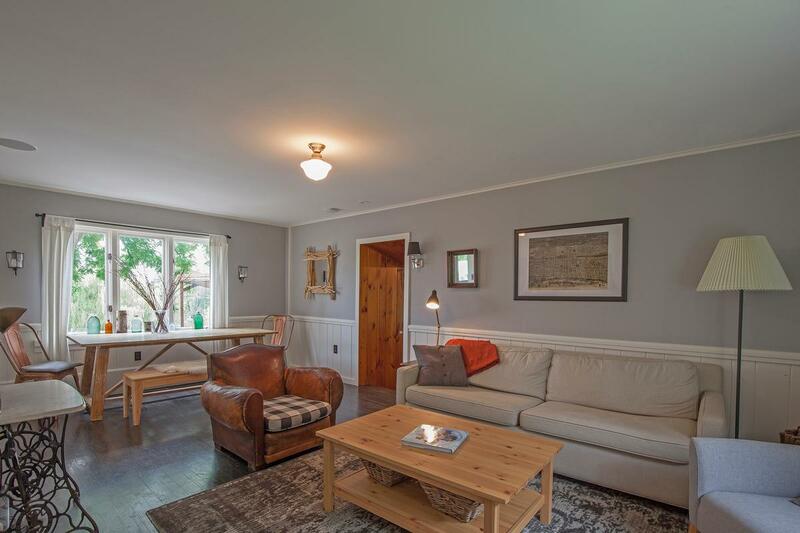 Around the corner from Lake Nockamixon and a short ride to Doylestown, New Hope and Newtown, its location is convenient to area hot spots and all Bucks County has to offer. 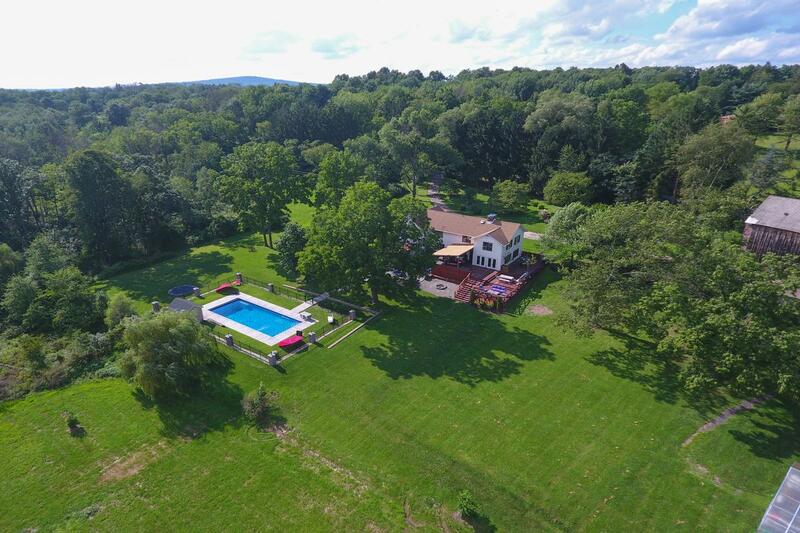 This 40-acre farm retreat is listed for $1.25 million with Weidel Real Estate, an affiliate of Luxury Portfolio International®.